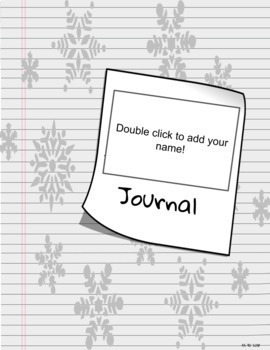 Journal prompts based on daily/weekly/monthly themes including creativity, books, differences and more. 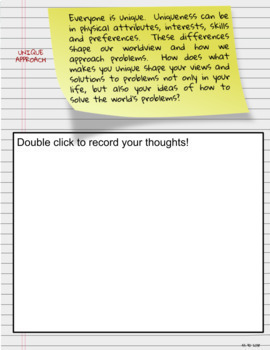 Prompts range from free writing topics to creative writing ideas, including reflection suggestions, poetry prompts and more. 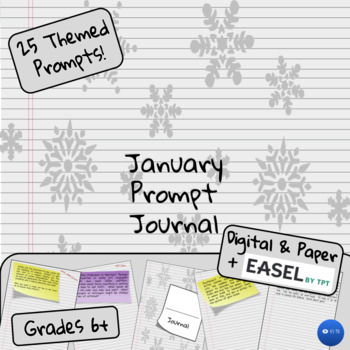 Packet contains a prompt for each weekday, plus two extra prompts along with a cover and spare notebook page.